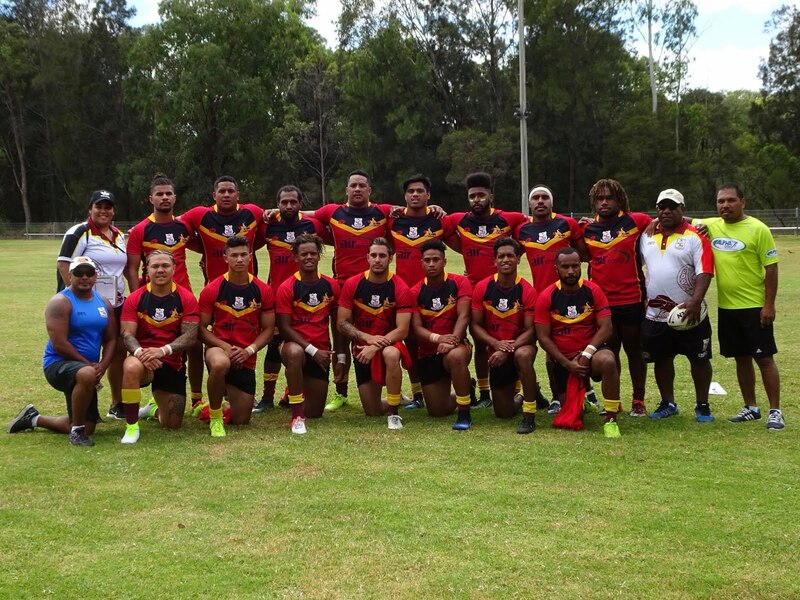 The future of PNG Rugby League looks to be bright after QLD PNG Kokomos finished as Runners-Up in the Cabramatta International Nines tournament held on the weekend. The event has been run annually since 2003 and plays host to Nines teams from rugby league nations around the world, all vying for their take of the $15,000 (AUD) in prizemoney. QLD PNG won their pool which included AMSA NZ, Africa United and the Phillipines. They drew Latin Heat in the Quarter Finals, defeating them 24-12. They then beat the much bigger Serbian team in the Semis, earning their berth in the Finals against the NSW Kooris. The final was a tough battle between the Kooris and PNG boys with the score being nil all at half time. Injuries, however took their toll on the QLD-based Kokomos and it made the difference in the final half of the competition against the classy Koori outfit, with the Kooris taking out the title after winning 14-nil. The Kokomos team, lead by Head Coach, and former Kumul, Elias Paiyo, is jammed packed full of talented youngsters who have come through the QLD based Kokomos development program over the past few years and who have now stepped into the senior ranks. Paiyo, said that he was impressed with the boys performances and the professional approach they had displayed. He said the PNG talent on display certainly made an impression and drew a lot of enquiries from interested parties who watched the tournament. Eli Wickham at captain, Bobby Tau, Thane Kellermeyer (until he was injured), Cameron Boga, Zeb Samuels, Ono So’oale and Kumul, Richie Pandia, were outstanding but the quality of play right across the board is what impressed Paiyo. 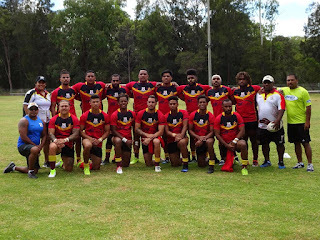 As a mark of respect for the passing of Kumul, Kato Ottio, all players wore black arm bands and organizer’s of the tournament arranged a minutes silence before the first match.